Don’t Risk Thousands of Dollars of Lost Vaccines & Other Perishable Drugs during a Power Outage! 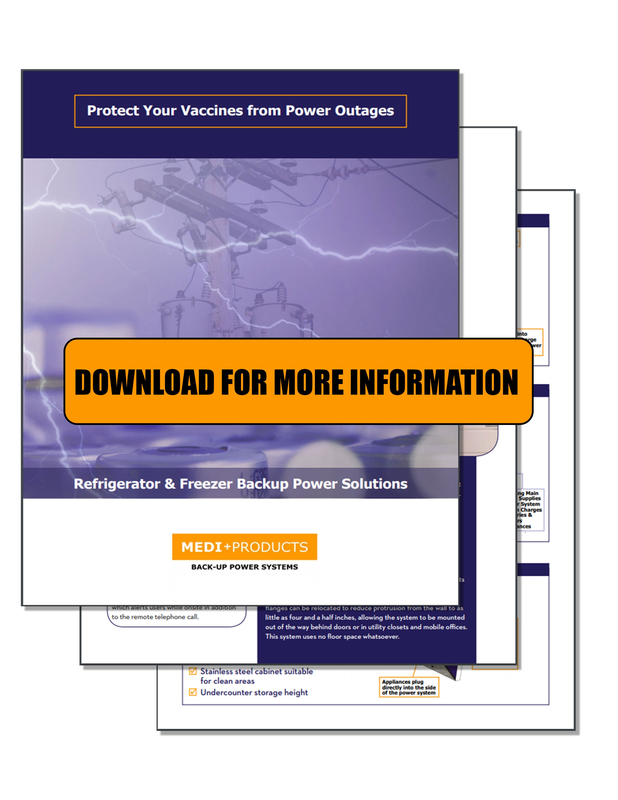 Medi-Products offers battery backup power for vaccine storage refrigerators and freezers because it has the design flexibility to meet all the various criteria that are needed. 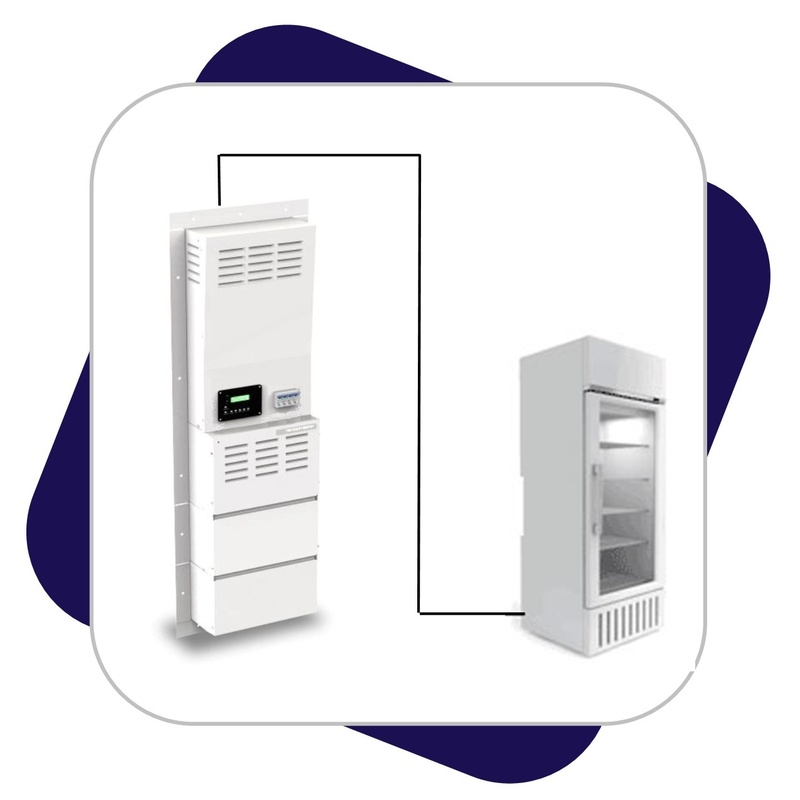 When choosing a UPS system to power your fridge it is important to know that there are important technical factors that need to be considered for in order for success. These refrigerator battery backup systems are line interactive which means that while the power from the utility company is on the system stays in stand-by mode. They the system is in standby mode the utility power keep the batteries charge and transfers power to the refrigerator or freezer. As soon as the battery backup system senses a loss of utility power, it transfers over to the systems' batteries. Once utility power is restored the system automatic recharges the batteries and feeds it back thru to the fridge or freezer it is supporting. Our systems are custom and sized to meet the desired run-time and support the specific appliance that needs to be supported. 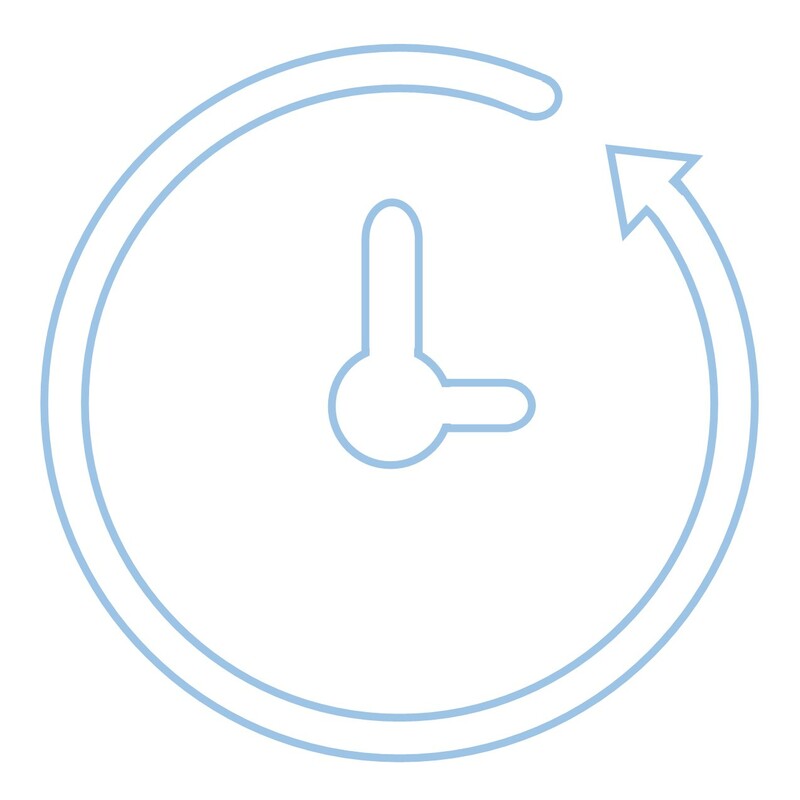 This enable us to offer 8, 12 , 16, 24, 36, and sometimes 48 hour backup run-times. A small inexpensive UPS system usually contains very little battery capacity. 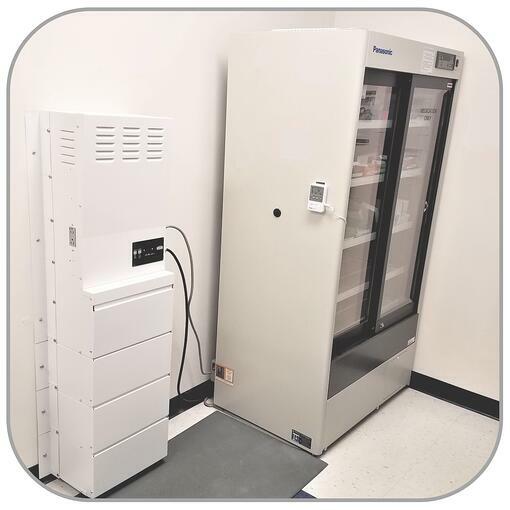 To power, a Lab or Vaccine Refrigerator over a long an extended period of time will need a fairly large deep cycle battery bank. You can usually tell estimate the amount of battery capacity a system has by its weight. If you can pick the UPS system up and carry it the likelihood is that it does not have a substantial battery supply and it will not offer very much runtime. A rule of thumb for VRLA batteries is that 100 lbs of battery capacity will support 7.5 amps of the load for an hour. Our battery bank calculator may help determine the amount of battery capacity needed to support the refrigerator or freezer. 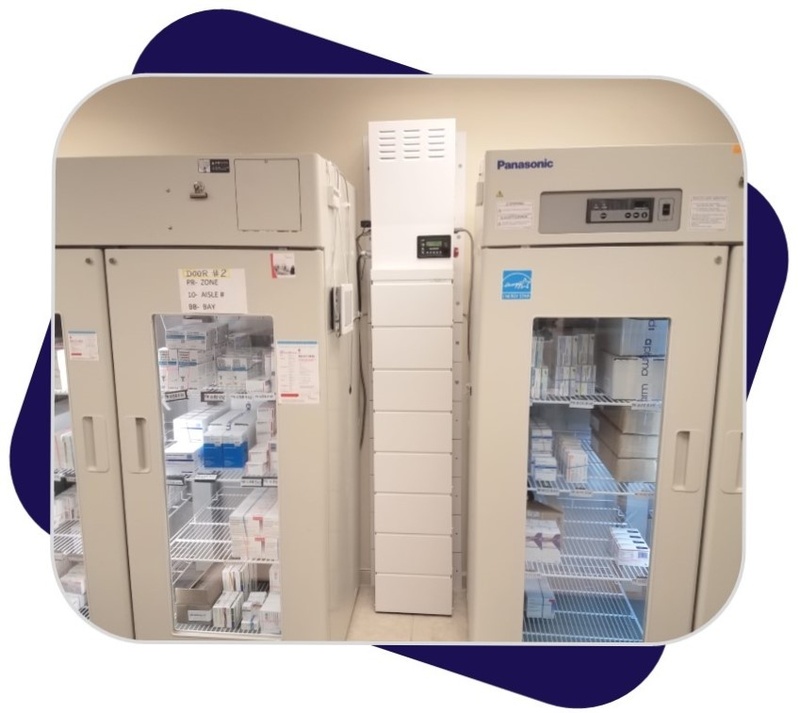 Medi-Products battery cabinets are modular and can accommodate a wide variety of requirements. 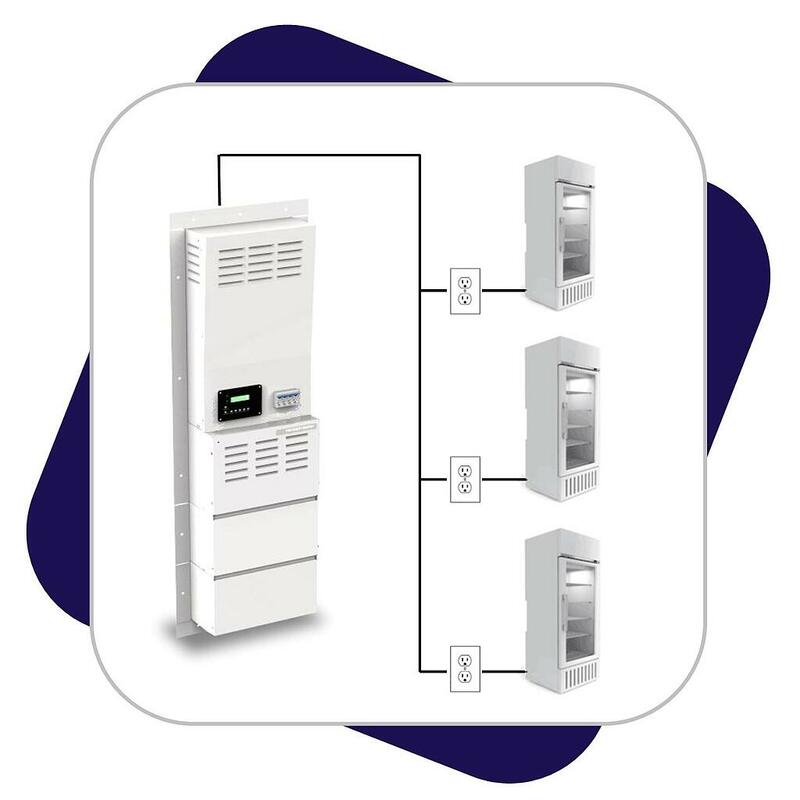 Medi-Products manufactures three styles of Emergency Backup Power Systems for refrigeration. 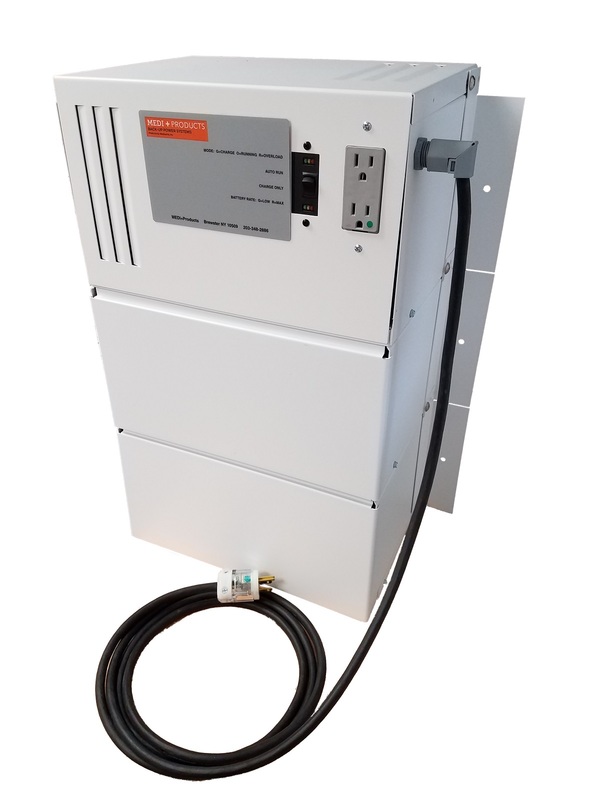 The HARDWIRE SILENT SENTRY™ is an ultra-compact, wall-mounted, low-profile system that can be hardwired next to the electrical box panel. This system contains built-in branch circuit breakers which simplifies installation by eliminating the need for a subpanel. The system mounts on/or between wall studs, also saving time and space. The STANDALONE SILENT SENTRY™ is also an ultra-compact, wall-mounted, low-tall and narrow profile system that can be installed almost anywhere near the point of use and suits any décor. The STANDALONE SILENT SENTRY™ has a unique design allowing the system to be mounted out of the way, behind doors or in utility closets or right beside the refrigerator. It is a plug-and-play system that can simply plug into the refrigerator’s wall outlet. 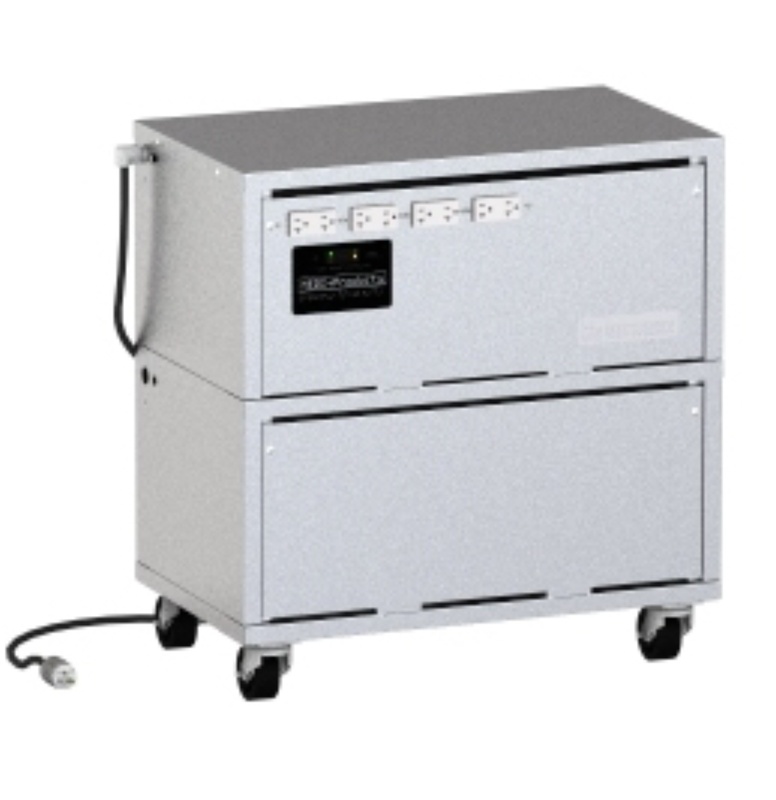 The REASSURANCE™ is a mobile, self-contained power generator housed in a stainless steel cabinet on a castor-wheeled base. This ‘plug and play’ backup power system requires no installation. 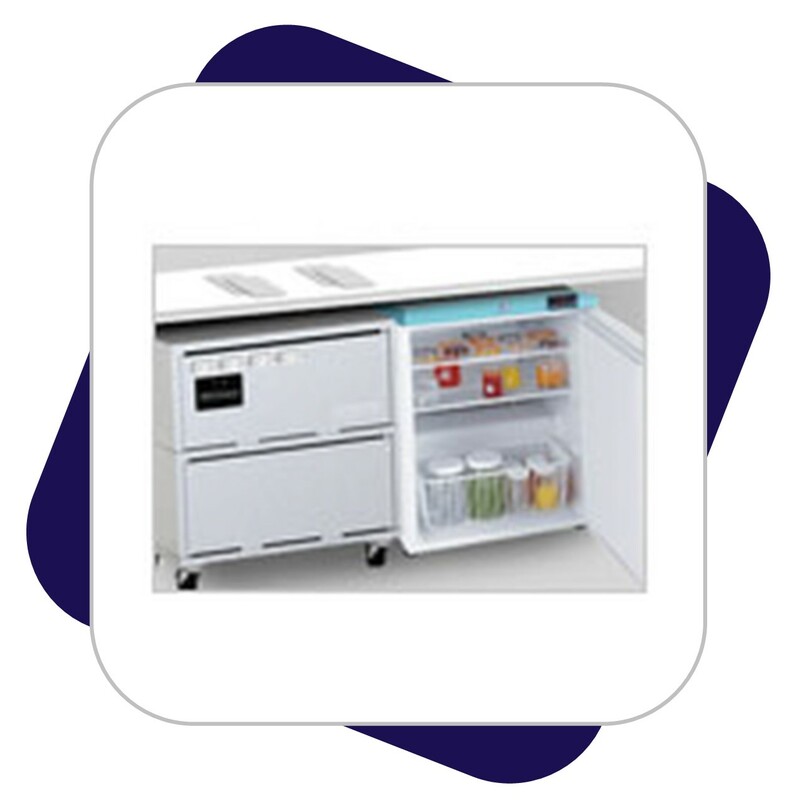 Most systems are less than 30” high and can fit under or serve as a countertop. The surge or the inrush current is the burst of energy that is needed when a compressor motor is first turned on – otherwise known as the Locked Rotor Amps (LRA). Refrigerators contain a cooling motor/compressor that has an LRA over 6 times the running power draw. This inrush current will only be for a split fraction of a second but if the UPS system does not have the capacity to meet the surge current needed to turn start the motor it will go off on overload and never restart the refrigerator or freezer. Some freezer models have two compressors, so the possibility of both starting at once may need to be considered. 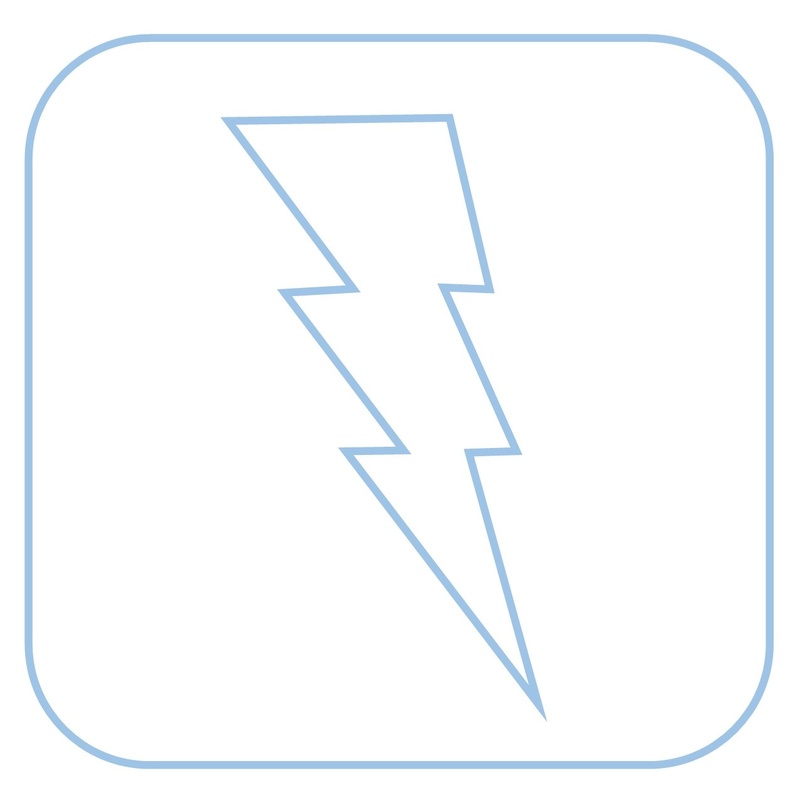 Medi-Products systems start at 3800 watts of surge power and go up from there. Your utility provides pure sinewave power because it is produced by a rotating generator. Electronic power inverters emulate this without moving parts. 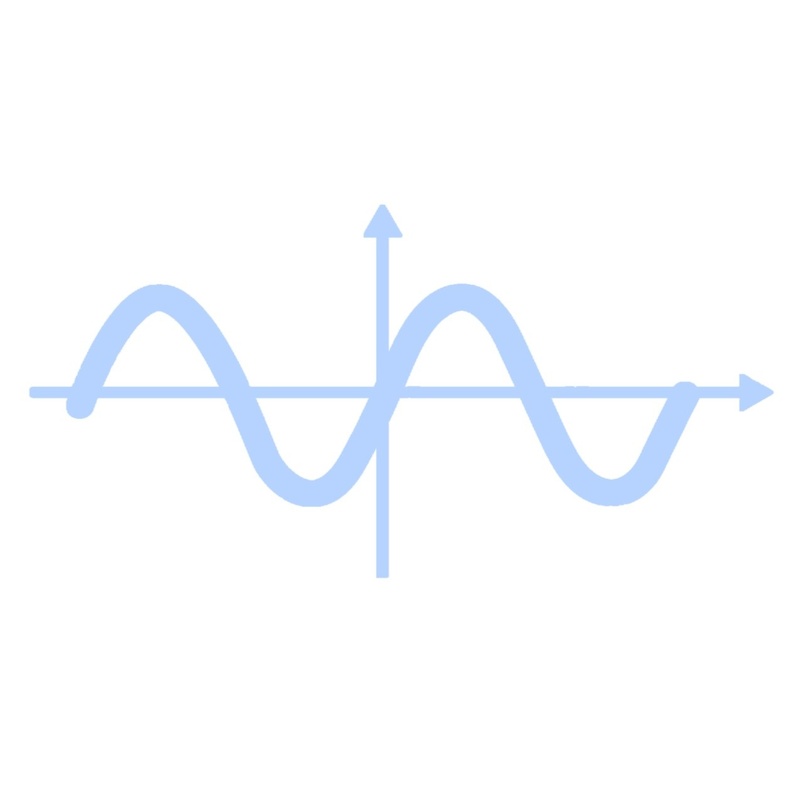 Inexpensive UPS systems produce modified sinewave waveform because fewer parts are needed. Many electric devises will run on modified sine waveform such as lighting, motors and even most refrigerators and freezers. However most lab and vaccine refrigerators will not run on modified sine power, thus Medi-Products offers a pure sinewave system.